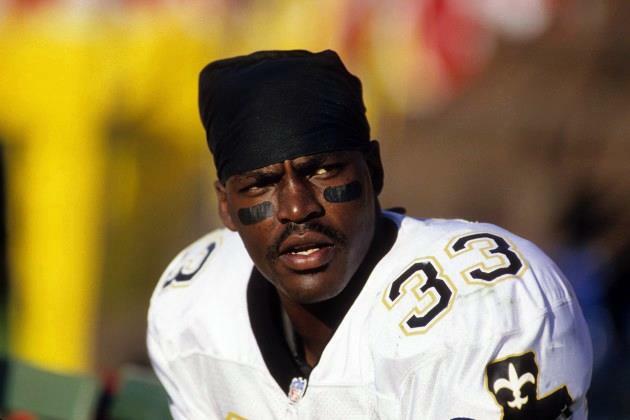 Background: A hometown hero from St. Augustine High School, Hughes was a fifth-round draft pick of the Saints out of Nebraska in 1993. He made his mark immediately. He was the best kick return man in the NFL in his rookie season, leading the league in punt return yards with 503. He followed it up with an even better season in 1994. He led the NFL in kickoff return yards in 1994 (1,556) and 1995 (1,617) and 1996 (1,791) as well as in the number of kick returns in each of those three seasons. As a Saint, Hughes returned five kicks for touchdowns (two punts, three kickoffs) and had four interceptions and 67 tackles on defense. He accomplished everything in just 63 games with the Saints. Greatest Moment: The New Orleans Saints were facing the Los Angeles Rams in the Louisiana Superdome on Oct. 23, 1994. Hughes was sensational. He set the record for the most kickoff return yards in a single game (304) and the most combined kickofff/punt return yards in a game (347). Hughes returned two kickoffs for touchdowns, tying another NFL record as the Saints outscored the Rams 37-34. His 92-yard return in the second quarter gave the Saints a 24-14 second quarter lead and a 98-yard return in the third quarter to make it 37-20. Hughes returned seven kickoffs for 304 yards and three punts for 43 yards. For good measure, he added an interception in a brilliant performance. Honors: Hughes was inducted into the Saints Hall of Fame in 2015. 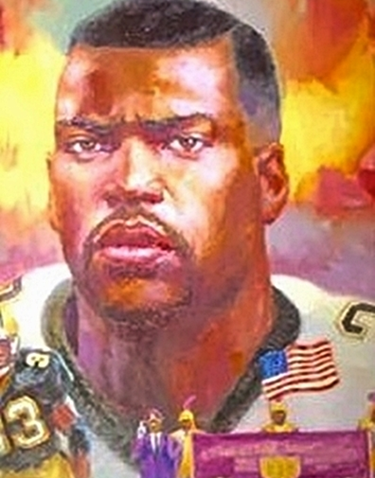 He was a Pro Bowl player in 1993.